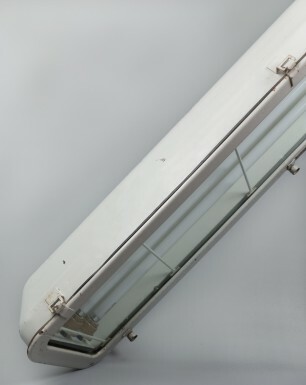 The straightforward design of the Bubble Whale is characterised by its bold half-circled body and its thick protection glass. 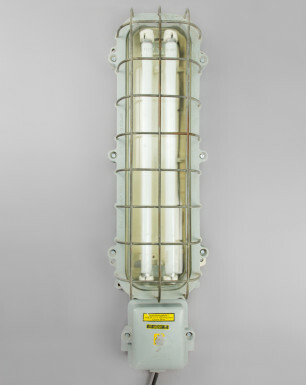 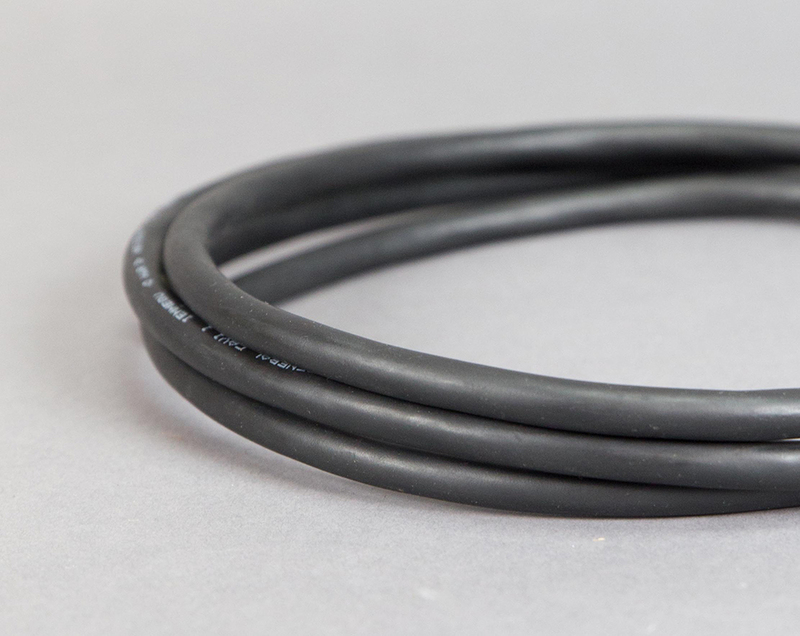 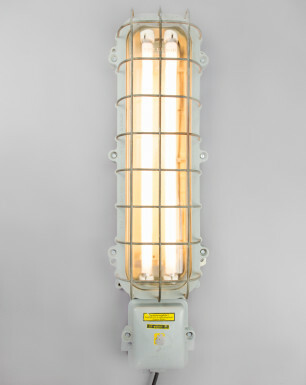 These fixtures has been designed to be splash-proof, gas-proof, and dust-proof, and were therefore commonly used in highly sensitive areas within for example chemical plants. 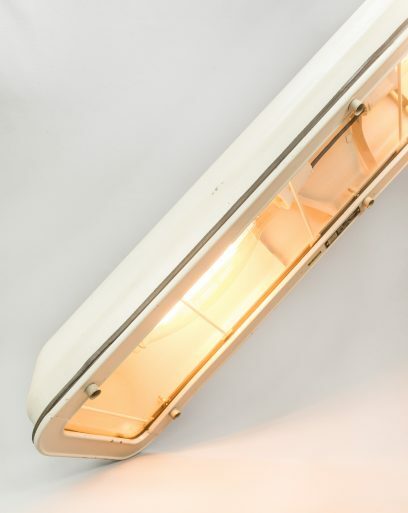 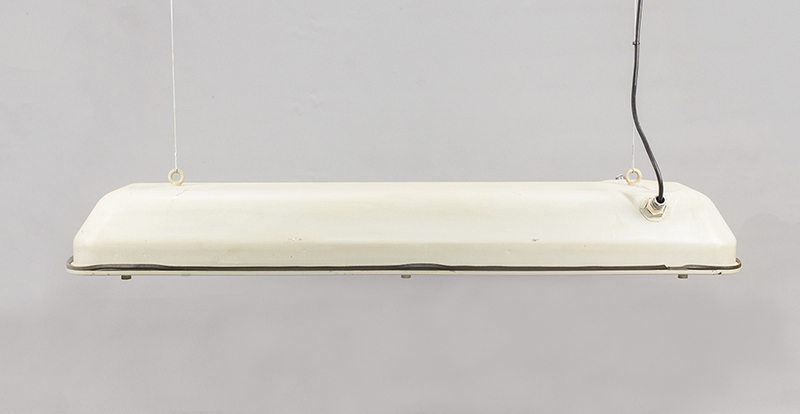 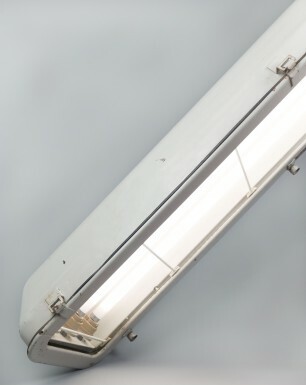 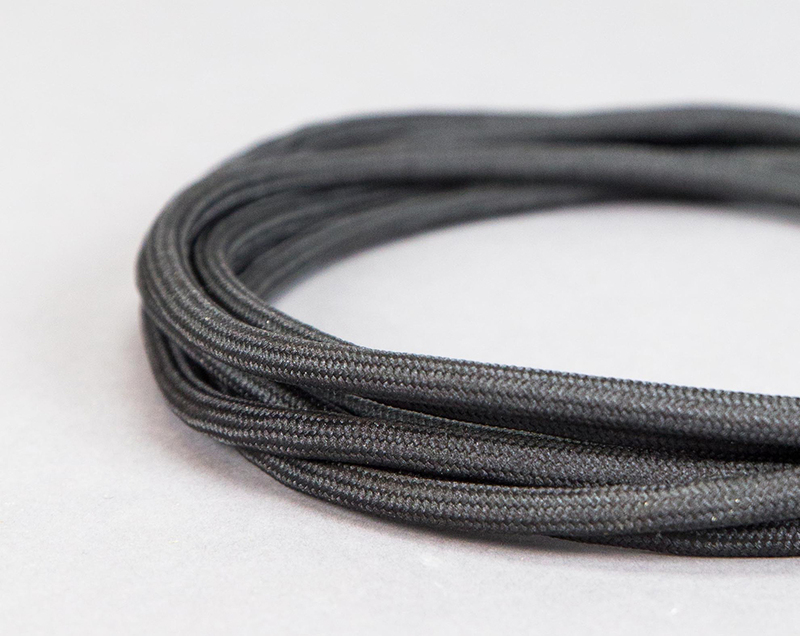 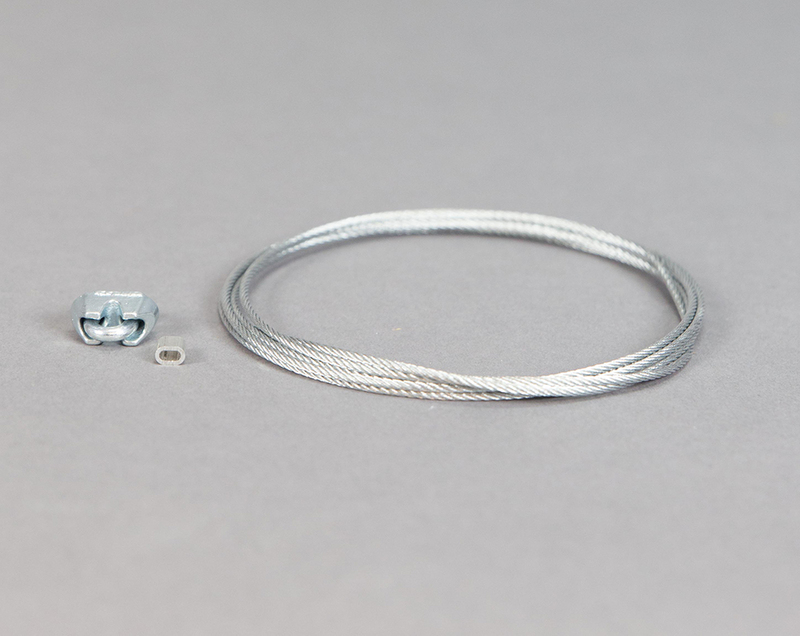 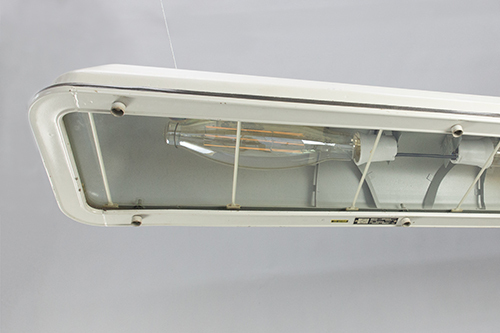 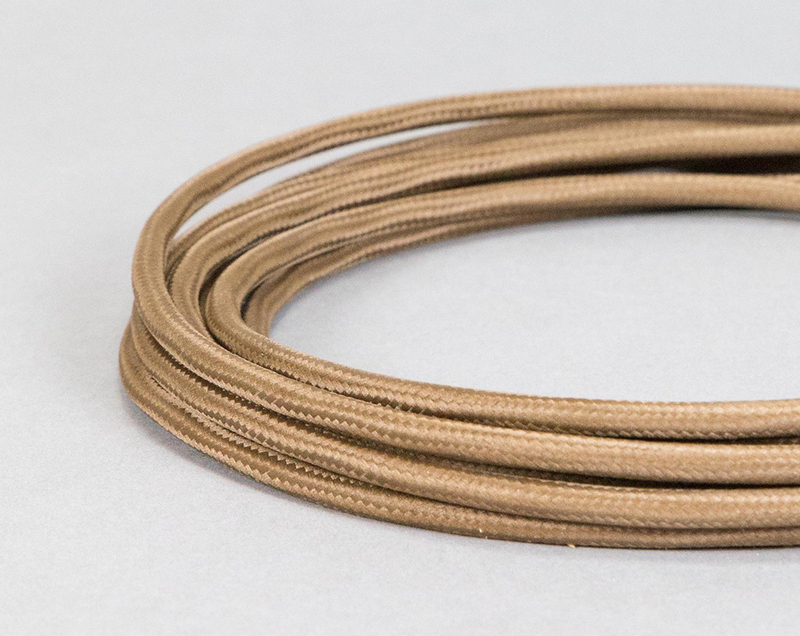 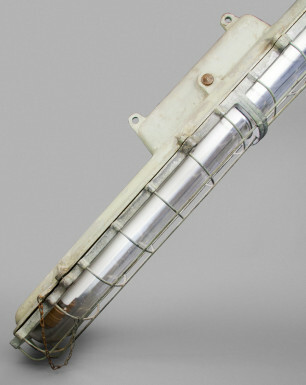 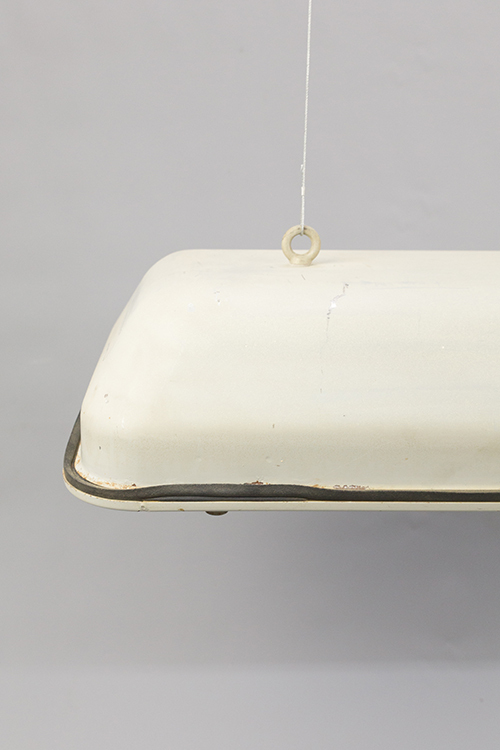 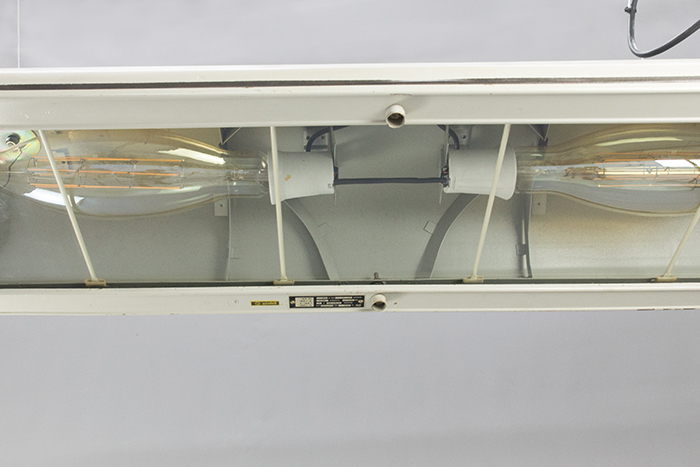 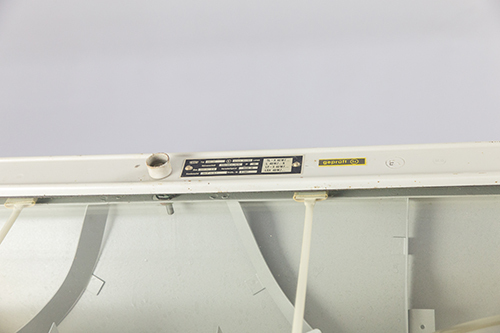 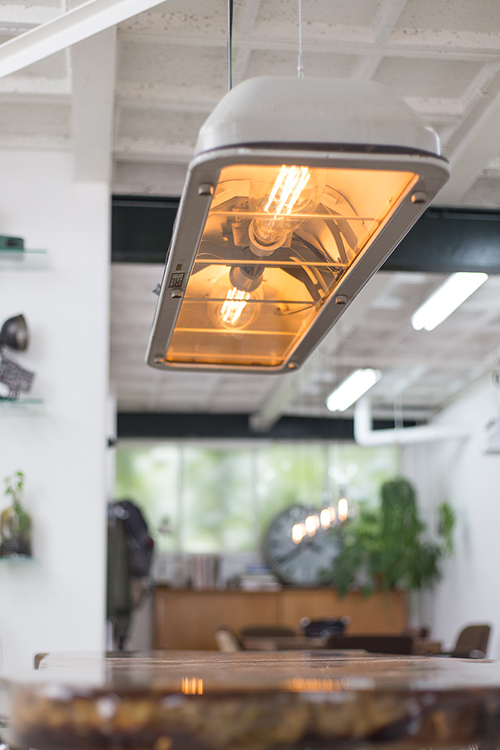 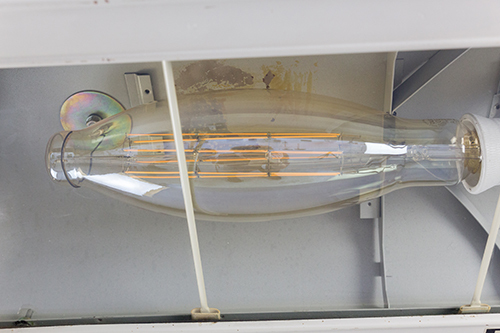 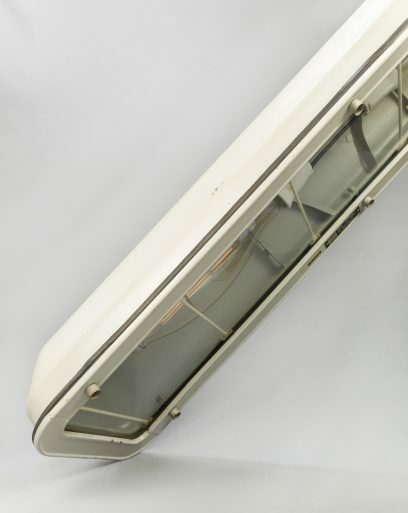 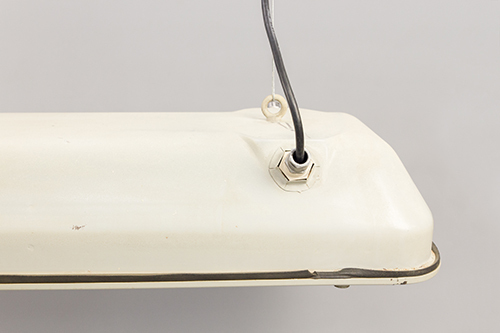 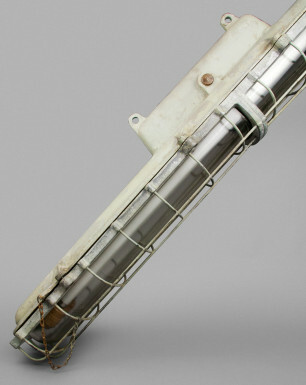 The original reflection plate inside the lamp have been removed to emphasize its industrial appearance. 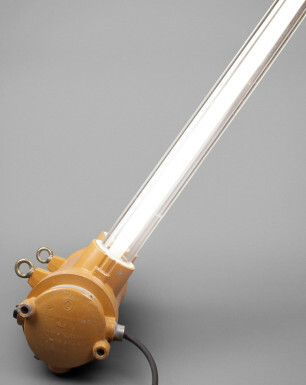 The light features two large E40 LED bulbs, providing a warm glow. 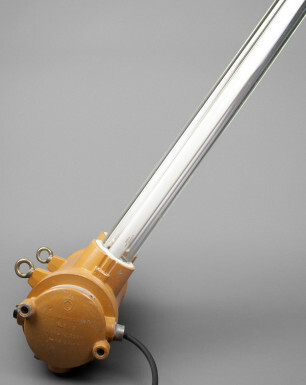 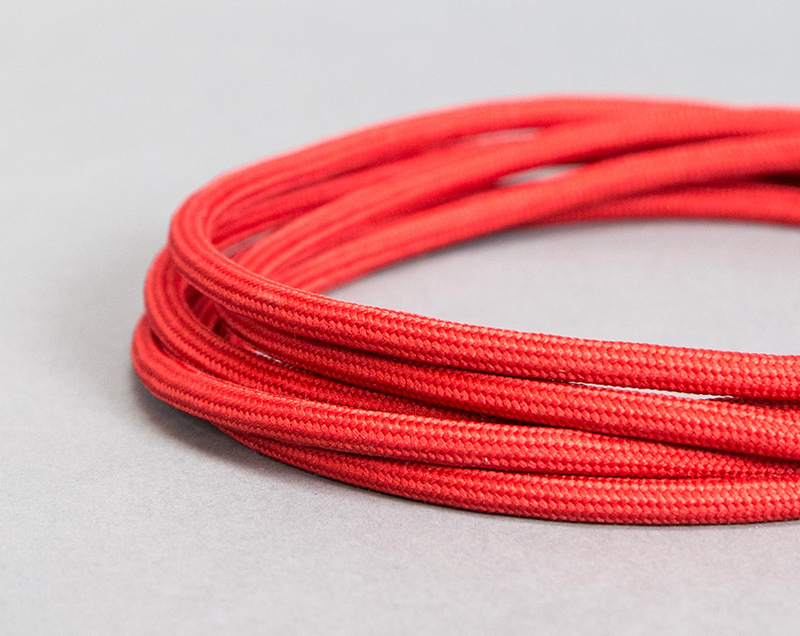 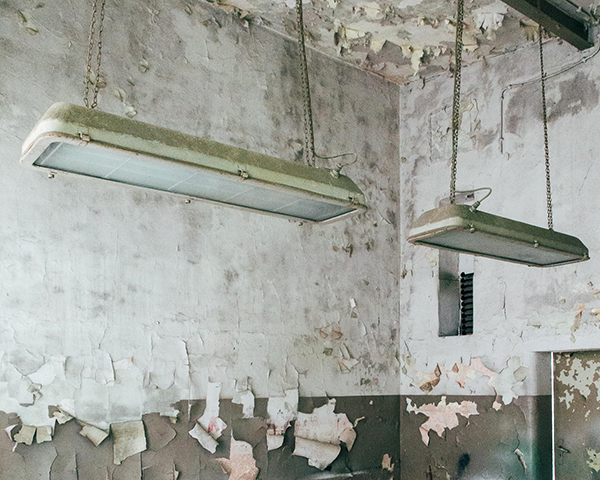 The fixture originates from one of the largest laboratories in East Germany, where they illuminated one of the main production areas in the complex.